The one winter activity I was always interested in doing in Boston I never tried was cross country skiing. Winter activities always seemed to involve so much clothing and gear I didn’t have and didn’t really want to spend my money on. I never felt like I’d do it enough to warrant spending the investment. Now that I live in Boulder it’s the kind of thing that’s much easier to incorporate into a weekly routine. I also just invested in some pretty versatile clothing I know I will get a lot of use from living here. Let’s be honest, Boulder is not by any stretch of the imagination any sort of fashion mecca. That money I was spending in LA on expensive jeans & threadbare shirts will now be going towards sturdy, breathable, water-proof clothing. It paid off; I was nice and toasty today with it being a balmy 20 degrees out. I took a pretty reasonable lesson at Eldora, a smaller scale ski resort about a half hour away. I haven’t had skis on my feet in over 15 years! It was such an awkward feeling and I definitely felt off balance. Graceful gliding is not what I will call what I was doing today, but it was a lot of fun! 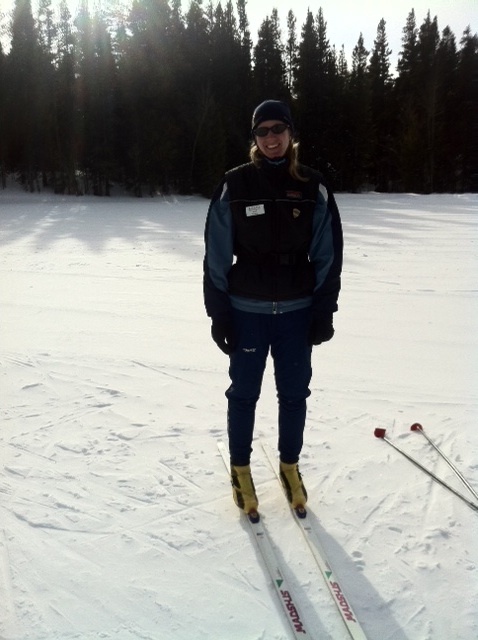 I even skied down a few hills which is a huge deal for me. I wish when I had tried to learn to ski I had started out this way. I think it would have helped me build my confidence for the downhill stuff. Alas, that was not the case, but this week I’m starting fresh, so it was a good way to go. My instructor, a Norwegian lady named May, was a great teacher and had me gliding in somewhat of a rhythm by the end of it. It was a good bit of up and down hills, so I think I would like to try on a flat course the next time to get the gliding down. This will definitely go in the yes pile for winter activities I can see myself doing. Now for a bowl of that delicious goulash my husband made last night. 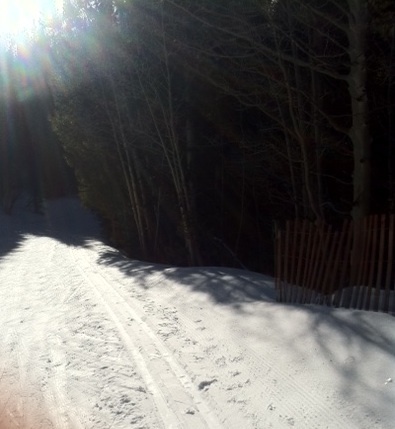 You are currently reading Cross country skiing: exercise I kinda like at 52 To Do.